Newcastle hand therapy was established by David Benn in 2008 to offer specialised treatment for hand and upper limb pathology in a private clinic. We are an occupational therapist owned practice and have a good relationship with local GPs, physiotherapists, occupational therapists, orthopaedic surgeons and hand surgeons. Our goal is to provide the best treatment available for finger, hand, wrist and elbow injuries in Newcastle and the Hunter Valley. As a patient at Newcastle Hand Therapy you can expect a professional and courteous environment where you will be treated with respect and honesty. You will be given the benefit of over 20 years clinical experience in hand therapy. This experience has been gained by working closely with hand surgeons and mentors in hand therapy both physiotherapists and occupational therapists. 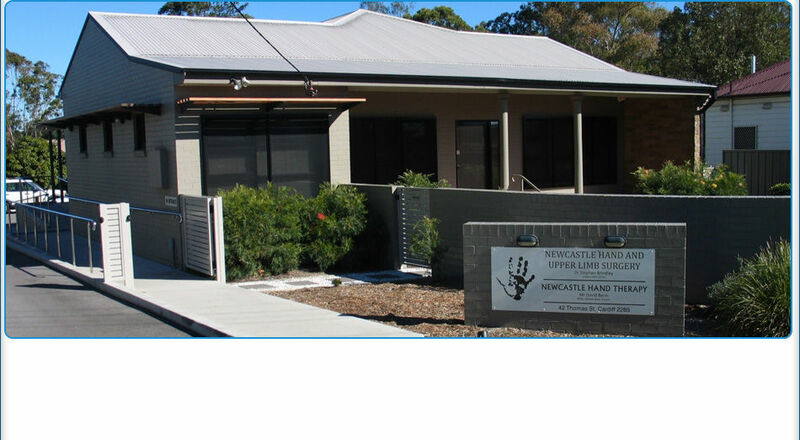 Newcastle Hand Therapy is located on the same premises as Newcastle Hand and Upper Limb Surgery. We have a close working relationship with hand surgeon Dr. Stephen Brindley. HICAPS facility available which allows patients to access instant rebates from private health funds. Rebates vary depending on level of cover and individual policies. Patients being treated under the Enhanced Primary Care Plan (EPC) can claim an instant rebate. Please bring X rays, ultrasounds or other imaging to your appointment.